(Nairobi, October 24, 2018) – Soldiers attacked civilians and civilian property in counterinsurgency operations in the south and west of Wau that began in June 2018, Human Rights Watch said today. 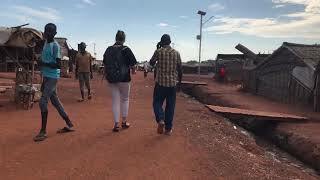 Tens of thousands of people have been forced to flee into the bush or United Nations protection sites and other displacement sites in Wau. Witnesses to attacks in June and July told Human Rights Watch that government soldiers have attacked and shot civilians, burned, destroyed or looted homes and property, and are occupying schools. Soldiers also looted a church and two health centers. Credible reports say fighting and attacks on civilians are continuing in the region.